Wolf Commercial Real Estate, a leading Cherry Hill commercial real estate broker that specializes in Cherry Hill commercial real estate listings and services, now has premier Cherry Hill office space for lease available in the Colwick Business Center at 53-55-57 Haddonfield Road Cherry Hill NJ. Two suites remain in the Cherry Hill office building for lease at 53 Haddonfield Road Cherry Hill NJ. Suite 330 B at 53 Haddonfield Road Cherry Hill NJ offers 5,025 square feet of professional office space for lease in Cherry Hill, while Suite 306 features 11,489 square feet of Cherry Hill professional office space for lease. This Cherry Hill office building for lease at 55 Haddonfield Road Cherry Hill NJ has between 9,841 and 61,694 square feet of divisible professional office space for lease in Cherry Hill. Only one suite remains in the Cherry Hill office building for lease at 57 Haddonfield Road Cherry Hill NJ. This suite provides 2,850 square feet of professional office space in Cherry Hill at 57 Haddonfield Road Cherry Hill NJ. The asking lease price for all of this this office space in Cherry Hill NJ is $9.50-$12.00/sf NNN. This Cherry Hill professional office space for lease is now available for immediate occupancy through Wolf Commercial Real Estate, a Cherry Hill commercial real estate brokerage firm with expertise in Cherry Hill commercial real estate listings and services. The local ownership and management of this Cherry Hill office space for lease at 53-55-57 Haddonfield Road Cherry Hill NJ recently completed base building improvements in these Cherry Hill office buildings for lease. The Colwick Business Center buildings are all one-story office buildings with no loss factor and direct, private 24/7 access to individual suites. Each of the buildings at this Cherry Hill professional office space for lease has an efficient layout with open bullpen areas and individual offices. The Colwick Business Center, where this professional office space for lease in Cherry Hill is located, has professionally landscaped common areas, sidewalks and walking paths. Tenants at this professional office space in Cherry Hill have access to an on-site daycare center in the business park. 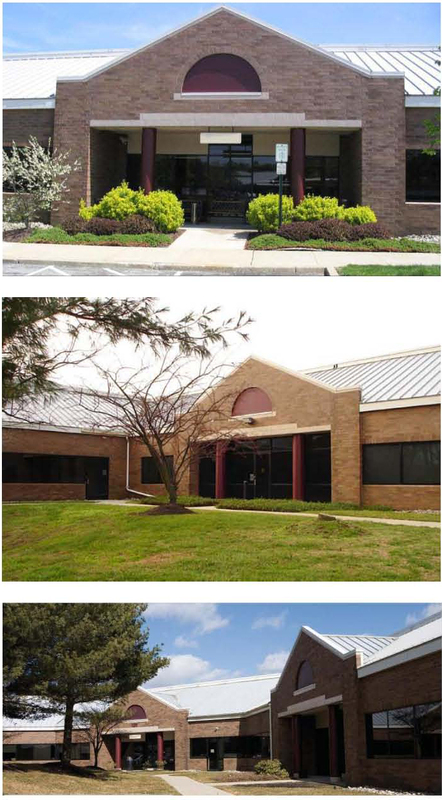 A monument tenant directory and suite signage are available at these Cherry Hill office buildings for lease. This Cherry Hill office space for lease is conveniently serviced by an NJ Transit bus stop (Route 404). In addition, a NJ Transit train station that offers direct access to Philadelphia and Atlantic City is located just five minutes from this professional office space for lease in Cherry Hill in the Colwick Business Center at 53-55-57 Haddonfield Road Cherry Hill NJ. More than 116,000 people reside within a three-mile radius of this Cherry Hill professional office space for lease that is being offered by Wolf Commercial Real Estate, a Cherry Hill commercial real estate broker that specializes in Cherry Hill commercial real estate listings and services. In addition, the average household income in that same three-mile radius of this Cherry Hill office space for lease at 55 Haddonfield Road Cherry Hill NJ is $75,792. This professional office space in Cherry Hill can be conveniently accessed from Routes 38, 73 and 70 and I-295, as well as from Philadelphia via both the Betsy Ross Bridge and the Ben Franklin Bridge. There is ample parking at these Cherry Hill office buildings for lease. The parking ratio at the Cherry Hill office space for lease at 53 Haddonfield Road Cherry Hill NJ is 4.23/1,000 sf, while it is 4.8/1,000 sf at 55 Haddonfield Road Cherry Hill NJ and 4.78/1,000 sf at 57 Haddonfield Road Cherry Hill NJ. This Cherry Hill professional office space for lease is situated near numerous local amenities, including the Cherry Hill Mall, Garden State Towne Center, banks, restaurants, and more. For more information about this Cherry Hill office space for lease at 53-55-57 Haddonfield Road Cherry Hill NJ or about other Cherry Hill commercial properties for sale or lease, please contact Jason Wolf (856-857-6301; jason.wolf@wolfcre.com) or Leor Hemo (856-857-6302; leor.hemo@wolfcre.com) at Wolf Commercial Real Estate, a Cherry Hill commercial real estate brokerage firm. Wolf Commercial Real Estate is a premier Cherry Hill commercial real estate broker that provides a full range of Cherry Hill commercial real estate listings and services, marketing commercial offices, medical properties, industrial properties, land properties, retail buildings and other Cherry Hill commercial properties for buyers, tenants, investors and sellers. Please visit our websites for a full listing of Cherry Hill commercial properties for lease or sale through our Cherry Hill commercial real estate brokerage firm.